People always seek beauty in life and show it in arts. 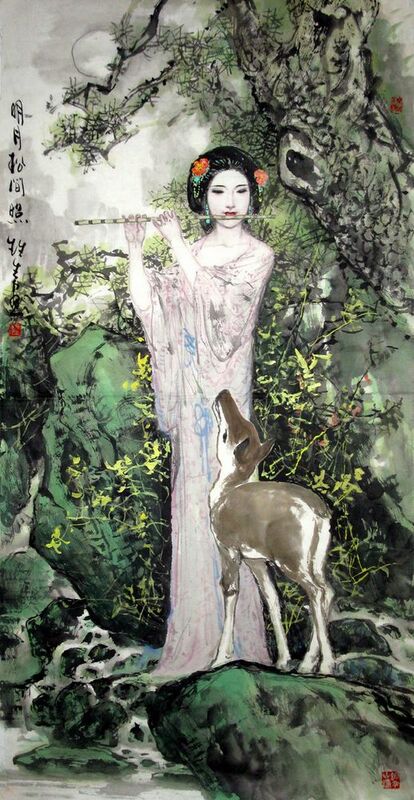 This is the root cause of the emergence and development of birds and flowers paintings. Flowers and birds in real life are both have their limited lives. There are no flowers or birds can live forever. However, in the kingdom of art, flowers and birds can obtain eternal lives. When we are watching the thousands-year-old "Zhen Qin Tu" by Huang Quan, a great painter in Chinese history, aren't those birds and fishes are still vibrant and lively creatures? 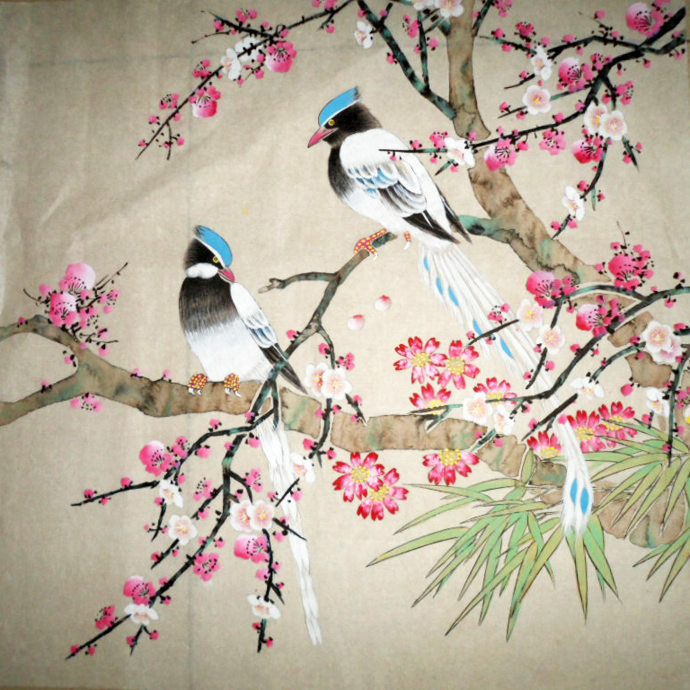 Chinese people love birds and flowers; so Chinese birds and flowers paintings are always more aesthetics of the nation. They all have a special feeling. This feeling, in fact, is a painter's feeling after his observation of nature. It is also a baptism the nature gives to the painter. In this way, the painter can give the birds and flowers immortal artistic lives instead of cold specimen. 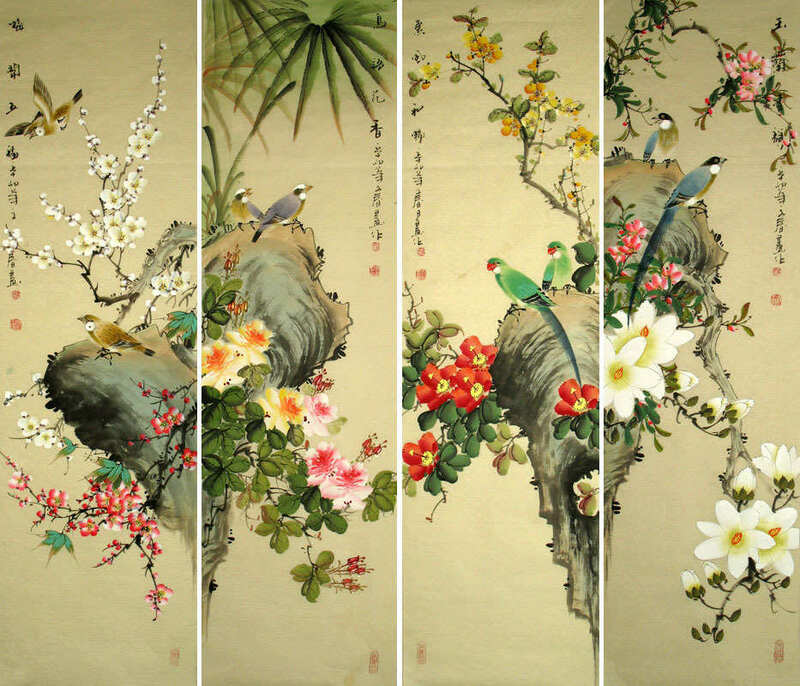 Looking back to history, Chinese birds and flowers paintings are also had the great period of Five Dynasties and the Song Dynasty. They had a lot pioneering and creativity in aspects such as the subject matter, form, technique and mood. There are also a lot of good works, which become elusive models for future generations. So today's revival of birds and flowers paintings are very difficult both in starting and requirements. However, there is a new generation of great painters are working on overcoming those difficulties. And they also show their great talent through their own artistic practices. I think that a painter should be first being a poet; he must have the mind and feelings of a poet. He must be good at using the beauty of flowers and the charm of birds to describe the world as a beautiful object. So those who give lives to flowers and birds are the creators of beauty in the world. 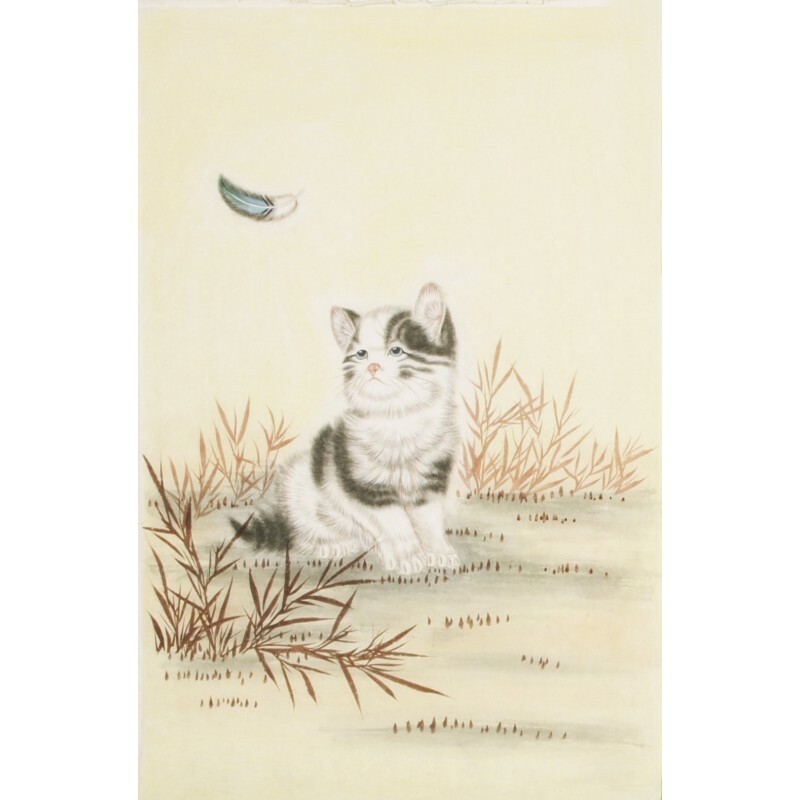 There are lots of means of expressing symbolic meaning in Chinese flower and bird paintings. 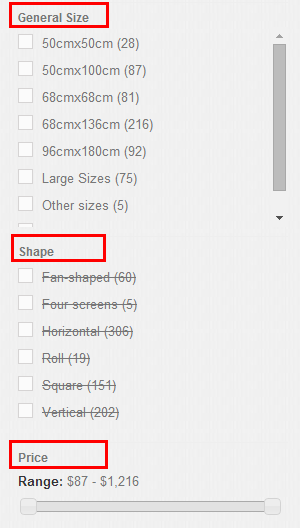 The most common ..
Forms of Chinese painting and Chinese painting frames Basically, traditional Chinese paintings can be classified according to subject matter .. 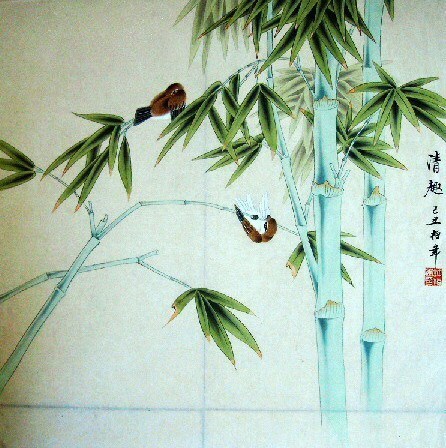 This entry was posted in Chinese Paintings and tagged Chinese Birds and Flowers Paintings. Bookmark the permalink.